Fun Fact Friday #176 – Happy Birthday Disney… and ME! Yes, it’s true. The fact that the Walt Disney Company was established on this day in 1923, combined with the fact that I was born on this day in 1986, has awarded me with the perfect, logically excuse as to why I am so obsessed with all things Disney! It’s written in the stars! 1.) When I was two-years old, I went to Disney World for the first time. 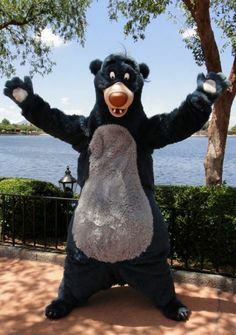 The best memory from this was when Baloo chased me around the yard! My parents still laugh about it today. 3.) I don’t know how many times I have been to Walt Disney World, but my best guess would be at least 10 times! I’ve also been to Disneyland twice, and have recently made last-minute plans to go back in November of this year! 4.) For the past three-years or so, I have kept this pin on my desk. My office is decorated professionally, and this it literally the only “fun” or “whimsical” item I have on display. 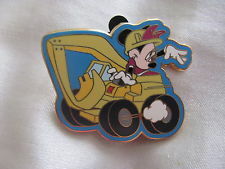 I feel like it represents me, because I work int he construction industry, but I’m a Disney-Girl at heart! I love this pin! 5.) 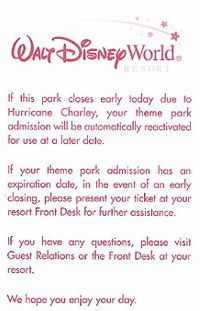 The last time I was in Walt Disney World with my family was in 2011. It was a different trip, because we are all so much older now. We stayed at the All-Star Music hotel for a week. My greatest memory, as cheesy as it may sound, was when the hotel did an outdoor movie by the pool. They were playing Beauty and the Beast, one of my all-time favorite movies. We had gone out to pick up a pizza at Giordano’s and sat outside, watching the movie, and just being together. Since then, a lot has changed. My siblings and I have moved in and out of my parent’s home, every one is working different hours, and we all have our own friends/significant others/etc… that are threaded through our lives. Sometimes it saddens me to think that it will never be “the five of us” again. But thankfully, I have such wonderful memories to look back on, and Disney is a huge part of that.